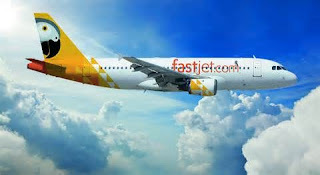 Fixed term contracts (12 months) and local permanent employment contracts for A320 Captains and First Officers for fastjet. Please read the following qualification requirements before completing your application. Applicants without the minimum qualifications will not be accepted and should not expect to receive a response. · For A320 experience any of the A319/320/321 group of aircraft is acceptable. · A330/340 pilots may also apply. · Hold unrestricted rights or be eligible to hold work in Tanzania. Please note this is NOT a commuting contract. Base: Dar es Salaam, Tanzania. Crew Transport – Secure accommodation - 1 ticket/annum to/from a main hub – associated license/medical costs – annual bonus (included in payment above) – high operating standards – high maintenance standards – professional and friendly working environment - opportunity to develop your career within fastjets rapidly expanding pan-African project.